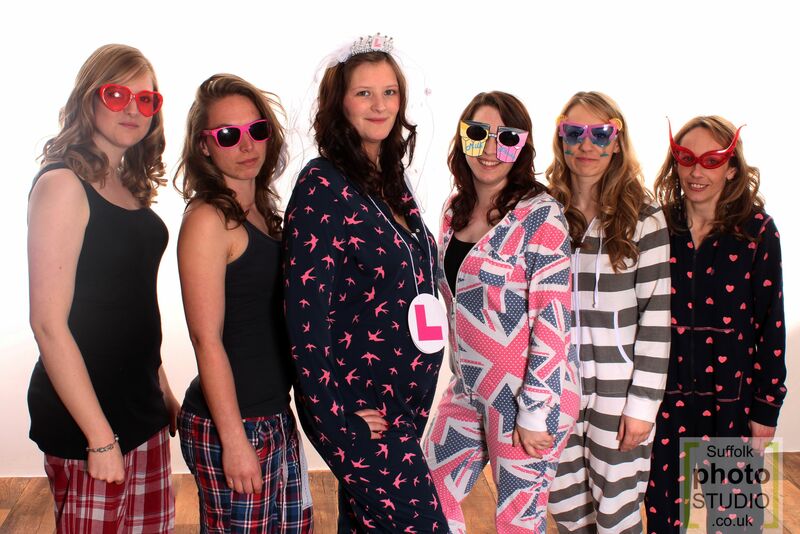 The Suffolk Photo Studio was pleased to welcome the beautiful Hen Party of Kirsty all the way from Diss into the studio to create some stunning images to celebrate her marriage and hen party. As a Hen party present good friend Natalie brought her friend the bride Kirsty and her Hen party in as a treat for a Hen Party makeover they were treated to a full makeover by makeup artist and hairstyling. The girls took to studio modelling and photo shoots very easily and worked well with the photographer to create their stunning images.